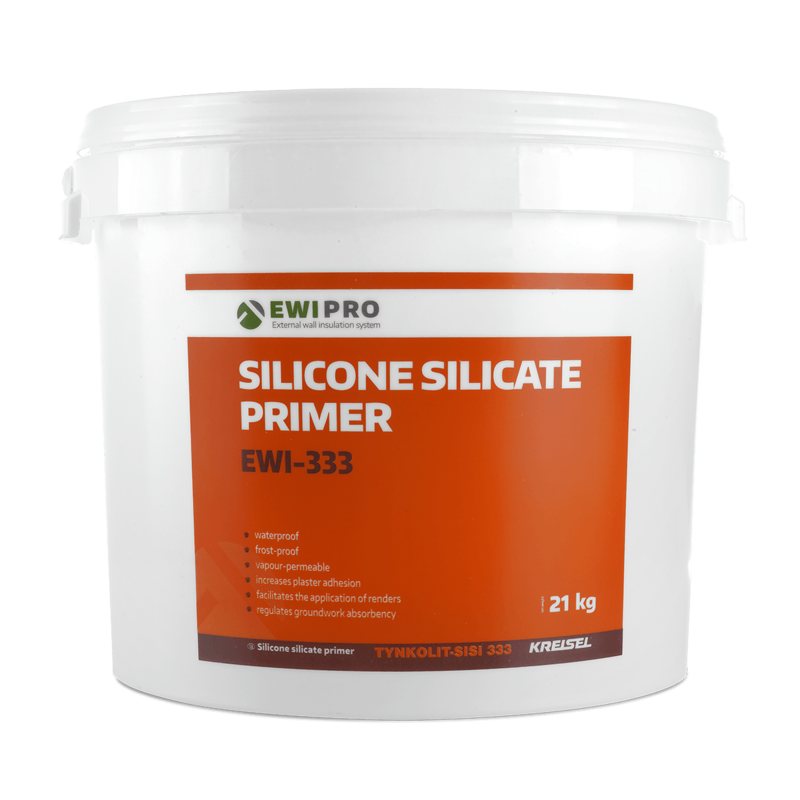 The Silicone Silicate Primer is a deep-penetrating render primer, designed to prepare the basecoat prior to applying EWI Pro Silicone Silicate Render. SiSi Render Primer facilitates the application of render coats and enhances its adhesion to the substrate, creating a long-lasting finish that will withstand the test of time. EWI-333 can be pigmented to match the colour of the render. Silicone Silicate Primer is used to prepare the walls before the application of coloured render. It improves adhesion of the render to the basecoat, facilitating application and reducing groundwork absorbency. 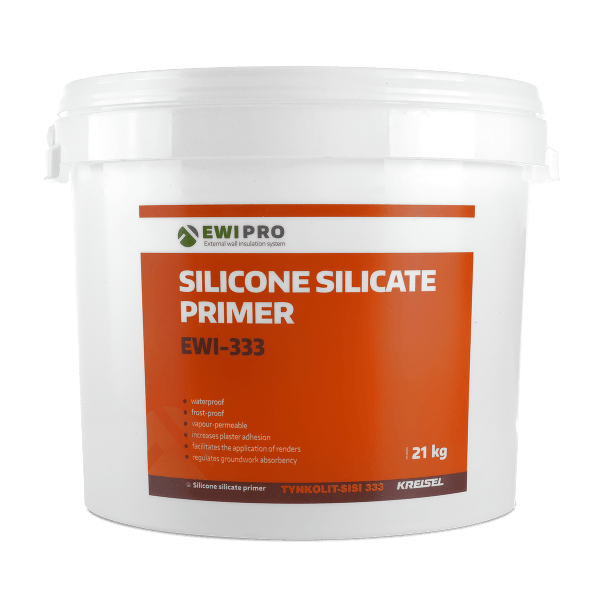 Silicone Silicate Primer should be applied in temperate weather and should not be used in temperatures above 30°C. Likewise, if the materials or the substrate are frozen, work should be postponed. The primer should not be applied in rain or humid conditions, or if wet weather is expected before the wash has dried. Drying time for primer is typically 12-48 hours, although this is dependent upon environment and humidity. EWI-333 is available in 21kg and 7kg buckets.